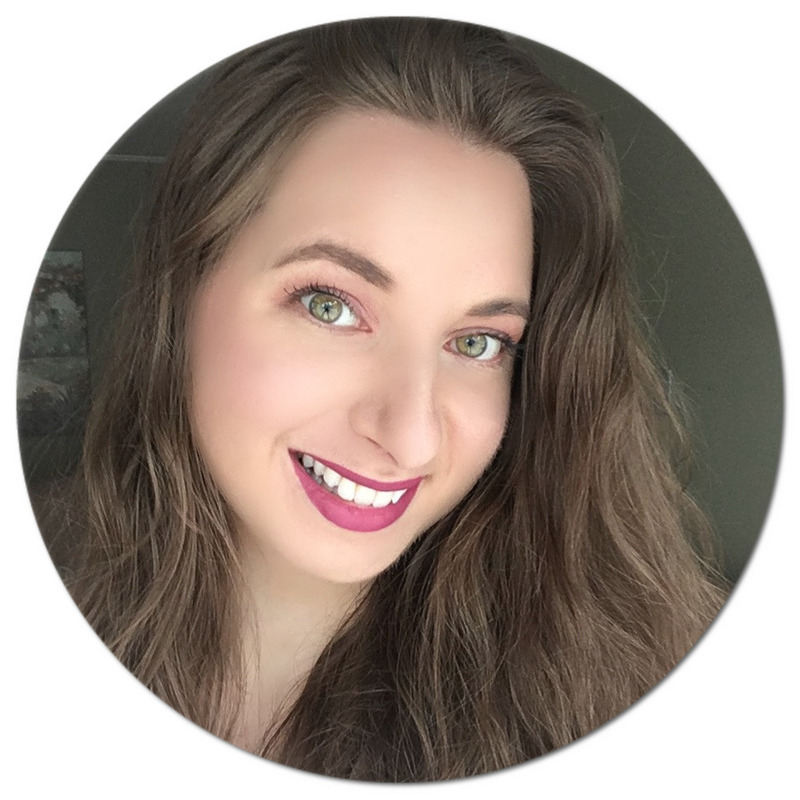 With an increasing awareness of what the majority of makeup products contain, my list of natural brands I've been wanting to try has been growing significantly. If you would have asked me a couple of years ago to name you one natural makeup brand, I probably would have given you a very blank stare. 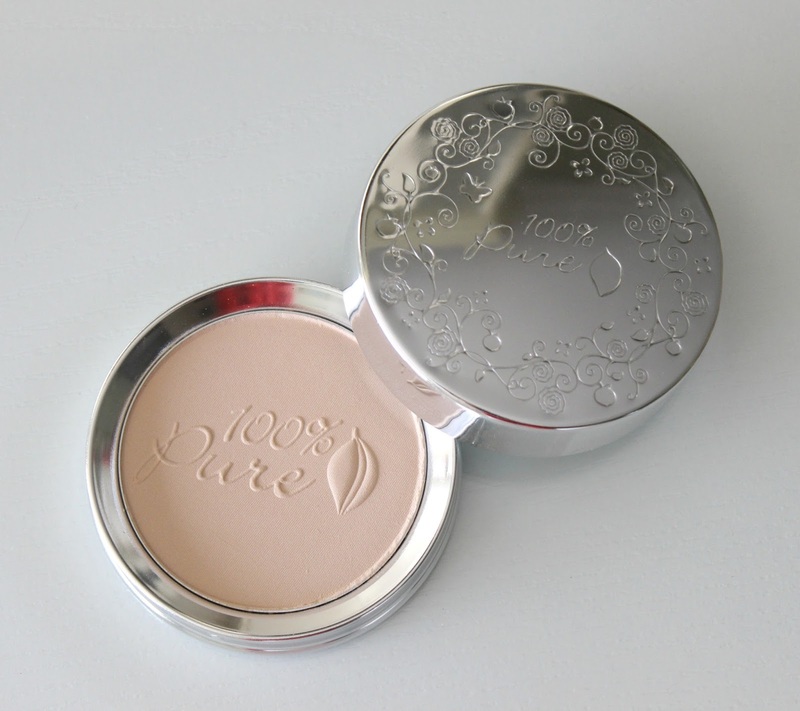 A product I have been dying to try for a while now is the 100% Pure Fruit Pigmented Healthy Skin Foundation Powder. Sounds like a mouthful, I know, but it describes the product pretty darn well. The claims of this little guy are exactly what I've been looking for: good for acne-prone and combination skin, medium coverage, matte finish, and chock-full of good-for-you ingredients. The question remains: does it actually deliver on all fronts? I'm here to share the lowdown, so just stick around (gotta love a good rhyme)! 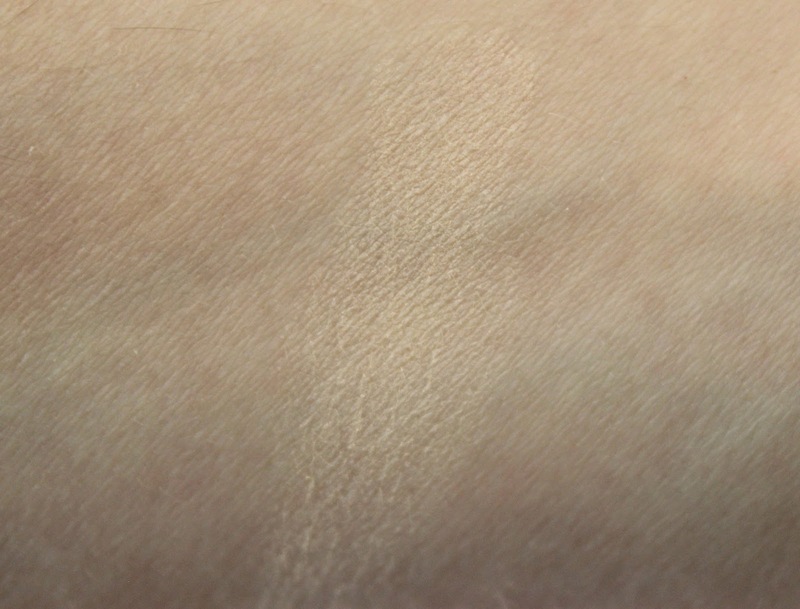 So far I've been lucky with finding my shade when shopping for foundations online, and thankfully 'Creme' worked out to be a perfect match for me once again. 100% Pure recommends applying this foundation with a kabuki brush, hence why I used my EcoTools Domed Bronzer Brush (it's the best out there, seriously). Packaging-wise, I'm super impressed: very eco-friendly as it comes with a recyclable cardboard box and tin casing. No mirror included, which I guess is best considering the concept here is to minimize waste and all. The powder itself? It is super lightweight and finely milled and simply feels like second skin once applied. It boasts ingredients including rice powder and a slew of plant extracts such as peach, apricot, papaya, pomegranate, cranberry, raspberry, wild cherry and the list goes on... how amazing does that sound? For those who are sticklers for SPF, it's in there too. I thought maybe it would smell like a fruit smoothie, alas it is unscented for those wondering. Worth mentioning is that it is vegan and cruelty-free which is extra nice. There is a total of eight shades to choose from too, ranging from fair to deep, which is pretty decent if you ask me. 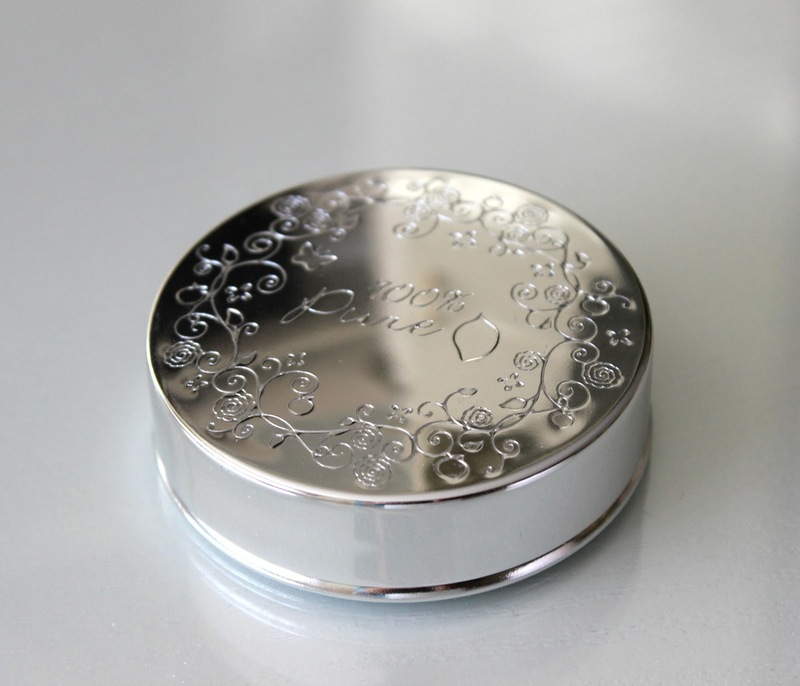 Let's talk application: if you are looking for a very light coverage face powder, this one is great. The matte claim stands true too - no oil comes through, which actually blows my mind because not even my beloved Honeybee Gardens Pressed Mineral Powder wins in that category. So if you have a combination-oily skin type, there is hope my friend! However, if you have imperfect skin like me (acne and scarring is to blame in my case), then this might not be the best option out there. Don't get me wrong, I still really like this foundation powder because it actually is so natural (and makes me look it too), but if you are looking for a heavy-duty, flawless coverage miracle powder, you might be slightly disappointed. Bottom line: it's not exactly what I had expected, but I still really like it. Definitely my new go-to for a quick cover-up all while letting my skin breathe. 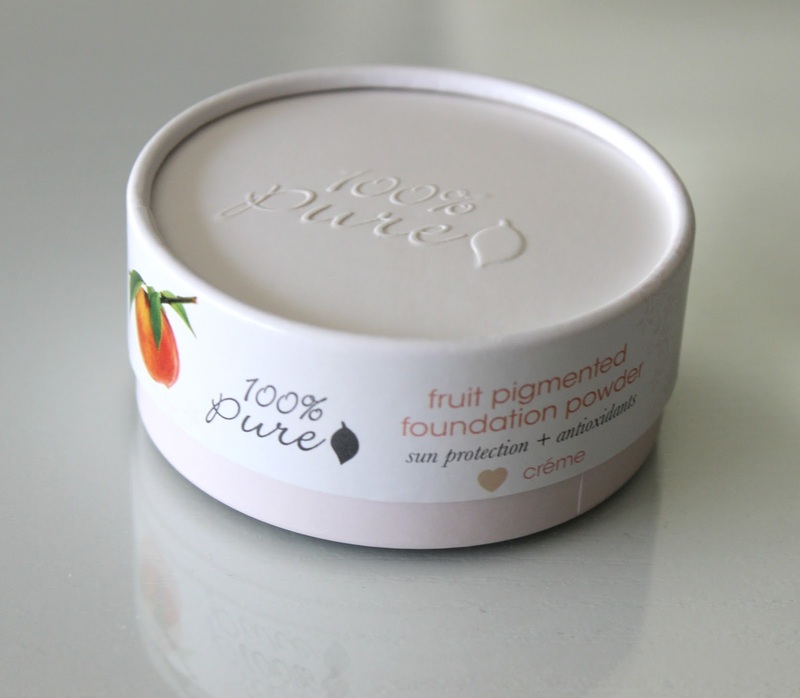 The 100% Pure Fruit Pigmented Healthy Skin Foundation Powder in Creme is available online and retails for US$38/C$50 and contains .32 oz of product. And you, have you ever tried a natural powder? Do share with me below! The fruity blend of products in the powder makes it sound like something I would really enjoy.